1. A Drum & Bass/Dubstep Producer from Wales, UK. 1. Kreed (Joe Baker) is a drum & bass producer specializing in dark, minimal beats aswell as chilled, mellow liquid drum & bass. Similar to the styles of Hybris, Icicle, S.P.Y, Freeloader, Alix Perez. 2. 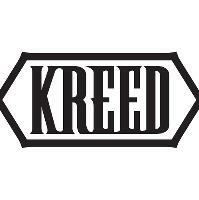 The band &apos;Kreed&apos; was formed in 1970 at a Prep school (not a military school) located in Faribault, Minnesota. We played some local gigs-- mostly for the other private schools of St Mary&apos;s School for Girls and Shattuck&apos;s Military School, both just down Shumway Avenue from ST JAMES SCHOOL which closed its doors after enrollement dropped in the 1980&apos;s.
Here are the latest Kreed mixes uploaded to Soundcloud. Do you promote/manage Kreed? Login to our free Promotion Centre to update these details.